Jangolopes - Are you ready for some football? As you prepare for the big game this weekend, make sure you have your recurring messages set up so you can enjoy yourself. Let me back up first…If you don't know about this feature, make sure you check it out! Recurring emails are email messages that are automatically sent based on user defined settings. You can schedule recurring messages to automate any emails you routinely send your subscribers. This is perfect for any welcome, thank you, billing, appointment, service, and any other notification emails. 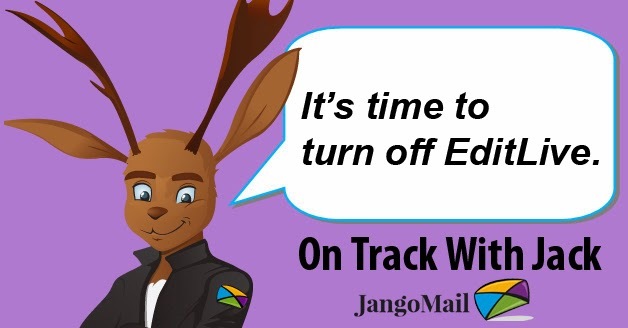 With JangoMail, it's easy to set up recurring messages and now you can easily edit them after they are scheduled, just in case you need to make any updates. 1. Create a new message and save it. Note: Double check that "Get Fresh Data" is selected on the schedule tab. This allows the system to automatically send to new subscribers each time a recurring message is sent. 2. Navigate to the Settings tab and click on Recurring Messages under Sending and Receiving. 3. Enter in your preferences to Add a Schedule and press SAVE. 1. Locate the message you wish to change and click the pencil icon to edit. a. You can adjust your schedule here if needed. 2. 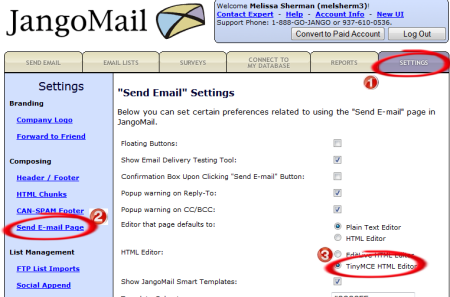 To edit the email content click the pencil icon next to Message to recur. 3. The editor will open in a new window. 4. Make your changes and Save. To Recap: Take time to set up your recurring messages! Now you can easily edit any messages after they are scheduled. Enjoy the game, and, as always, if you don't see what you need just ask! After all, it's your email, your way! EditLive works with Java, which for a very long time has caused lots of headaches for you and our support team. While browsers and Java update with the times, EditLive does not. In the past, these updates caused problems, but now we've finally hit a point where the latest Java update has caused EditLive to stop all together. Luckily we have another editor that works great! The Advanced editor doesn't need Java and therefore doesn't error out like EditLive does. If you can't resist copying from Word, use the new "Paste from Word" button. NOTE: We do NOT recommend creating any emails using Word. Copy/paste text using Notepad or a Simple Text Editor instead. You do not have to wait for Java to load, and there are no error messages. Select Authoring to expand section. In the last option, Preferred HTML Editor, check to see if TinyMCE is listed. If not, click the pencil icon to edit. Visit the Send E-Mail Page link. 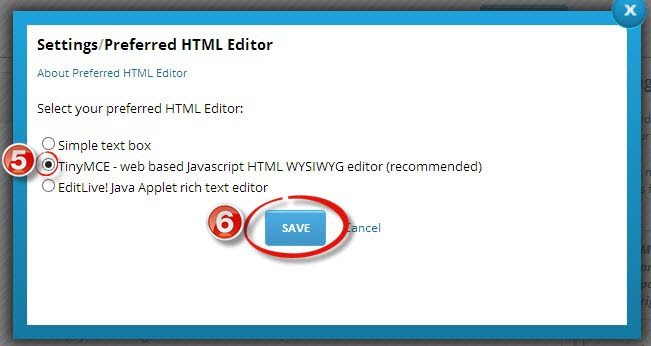 Choose TinyMCE for the HTML Editor. If you haven't used our Advanced Editor before and have questions, our support team is here to help you transition.